This US Military veteran doesn’t have enough money to buy food. Will anyone help him? America’s veterans are some of the most venerated people in American society. They are honored at parades, official ceremonies, and by everyone in between. We love our veterans who put their lives on the line to defend us and keep United States allies safe. There are millions of veterans in the United States, and close to eight percent of all Americans are veterans of the United States military. And there are plenty of roles which soldiers play within such a huge apparatus. Of course, there are the combat soldiers, but they only make up approximately 10 to 15 percent of all the armed forces. Behind them are intelligence officers, international liaisons, engineers, mechanics, accountants, logistics personnel, chefs, doctors, and many many others who are integral to the effective running of a military. However, once these men and women leave the service, despite all of the praise that is heaped upon them by American society, they have nearly insurmountable struggles to contend with. Many come back with mental issues such as Post Traumatic Stress Disorder, added stress, and have very difficult times not being in a military environment. 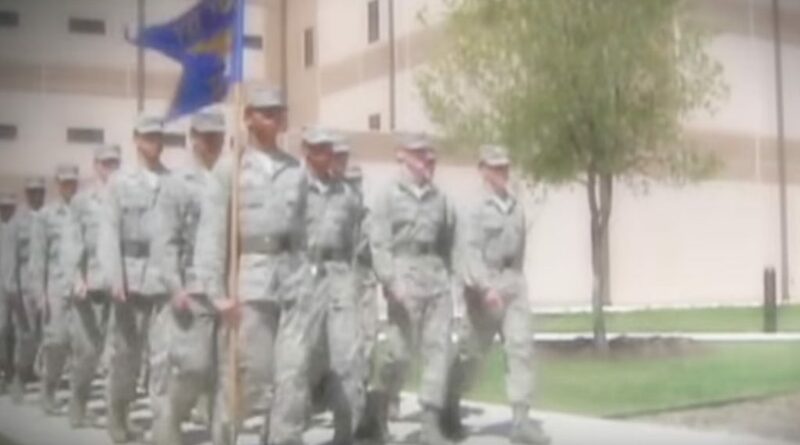 And going to get treated by a psychologist keeps them from getting a job, as no employer wants to have a crazy person on their staff Additionally, there are many veterans who come back with chronic health conditions which are associated with carrying close to 100 lbs of gear day in day out. Many employers, while happy to see that a soldier may have leadership experience and is good at thinking on their feet, are unwilling to hire someone with a pre-existing condition. A show called What Would You Do on ABC went to San Antonio, TX to find out how the people in “Military City, USA” would treat a down on his luck veteran. What happened will definitely make you tear up. ABC has a popular show on the air called What Would You Do. The show has various actors who pretend to be in distress, and the goal of the show is to see what an average passerby would do should they see the situation. 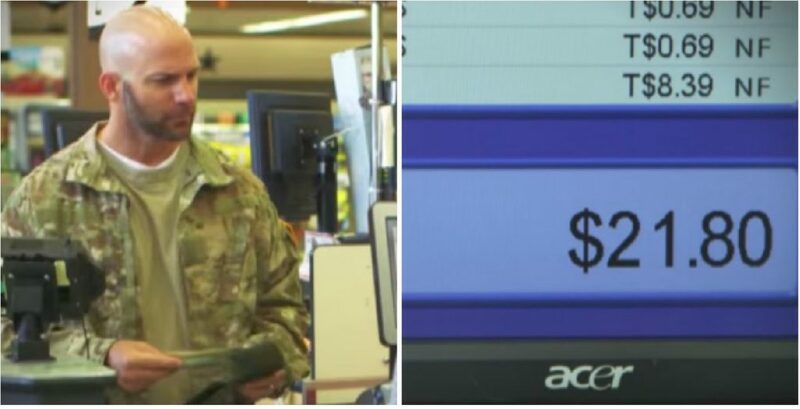 In this situation, a United States Army veteran is in a grocery store and can not pay for all of his groceries. Will the unsuspecting, random people help the soldier out? Ryan and Lorraine are both veterans and actors in San Antonio. 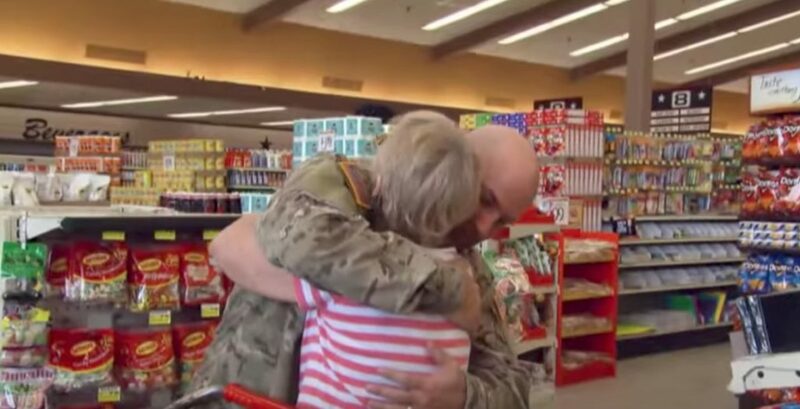 Ryan, playing the part of a US Army vet, is trying to buy groceries for his family. According to the story he has construed, he has a new baby at home, and he is trying to buy baby formula, diapers, and other food for his family. However, his credit card gets declined, and he does not have enough cash to cover everything. What will the other shoppers in line do? 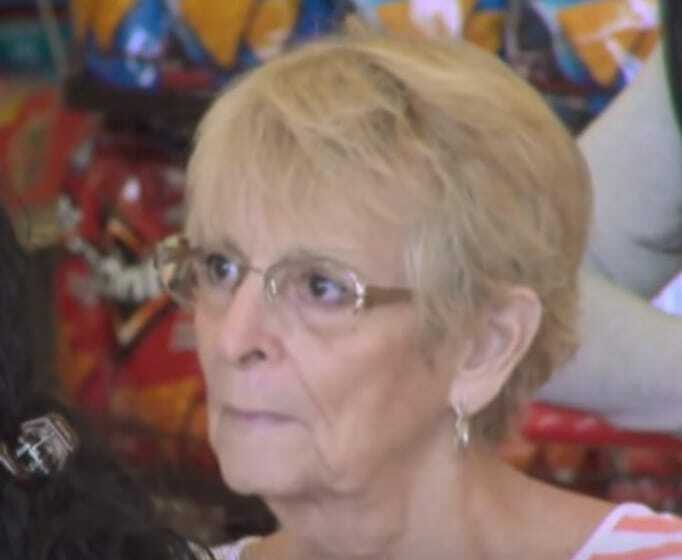 Linda Cuppers, a regular patron to the supermarket goes into the checkout line with the actors, and overhears the conversation. It turns out that both her son and her grandson were both in the US Army. As she is standing there talking to the two people she has no idea are actors, Ryan, the man portraying the soldier, has his credit card declined. He then does not have enough cash to pay for the rest. Linda looks worried. Ryan is short eight dollars, and can not complete his purchase. It is at that moment that Linda decides to step in. Without a second thought, she says that she will cover the eight dollars that Ryan needs in order to get his family food and diapers. As it just so happens, Linda runs a food kitchen which, sadly, helps out and serves a lot of veterans in the San Antonio area. She is visibly distressed that so many veterans have no help from the government. John Quinones, the presenter for What Would You Do, comes out very soon after the entire transaction has taken place. He announces to the woman who he is, and describes the show that she was just on. She is in shock, and frankly, so are we. She talks to Quinones and tells him that there are so many veterans that need help and a leg up, and that the country cannot stand by and do nothing. The United States Military in all of its forms has been welcomed with open arms to San Antonio, Texas. The city has even earned the monicker Military City USA due to the immense support the military receives in the municipality. In fact, the city has made the phrase Military City USA its official motto. There was no better place to test how Americans would react to a veteran in need than by coming here to where they are allegedly so military friendly. The Brooke Army Medical Center is the largest, most extensive, and most advanced Medical Center in the United States Military system. It includes over ten different sections and wings, and has the United States Army’s largest hospital. The hospital is technically a part of the sprawling Ft. Sam Houston base located within the San Antonio city limits. 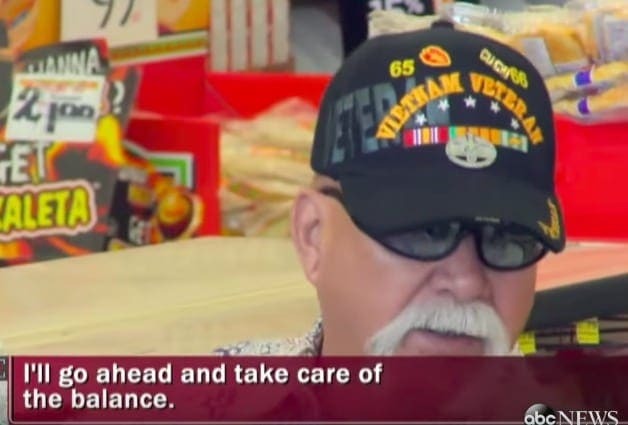 One of the things which simply shocked the producers of What Would You Do while they were filming in the San Antonio, TX grocery store was the fact that every single person stepped up to help out the struggling veteran. This included, a man who was clearly in the Vietnam war who stepped in and covered the balance which the What Would You Do Actor could not cover himself. The United States Military operates 420 bases and installations on American soil alone. These bases provide a huge amount of people with jobs and help give states much needed cash. First, there are the tons of military civilian contractors who get jobs at these bases. But perhaps just as important economically are the fact that all of these people on the base need places to shop, watch movies, eat out, and party. In fact, these secondary economic effects are just as important as the primary ones. 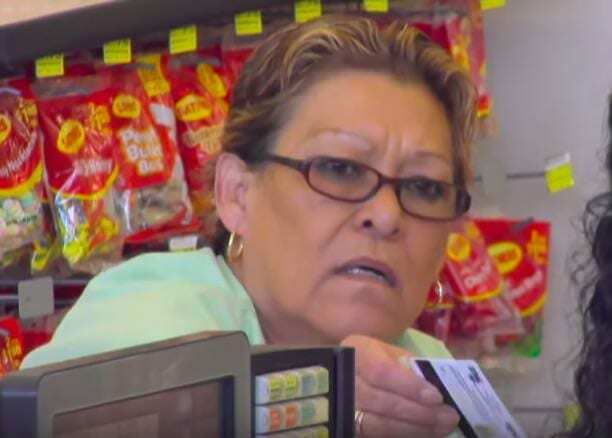 One of the things which further surprised the crew of the show was when a man gave the cashier a $20 bill, to cover the expenses of the man portraying the veteran. But then, in a truly selfless act, told the cashier to let the veteran keep the change from the bill. Now, this was an act that nobody expected. No one ever says “keep the change” anymore, especially to a complete stranger. The man then turned to the veteran and reassured him that while he may be going through a tough time, as long as he takes things day by day, things will get better. This act blew everybody out of the water who witnessed it. When asked about why he did it, the man, clearly a recent immigrant who loves the United States, simply replied that none of us would have been able to live in the United States without soldiers’ sacrifice. 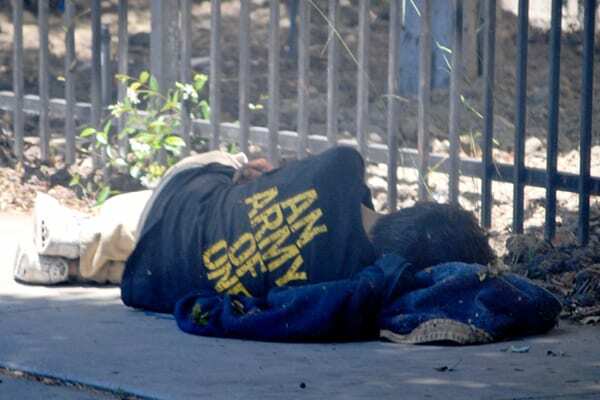 There are about 39,500 homeless veterans sleeping out on the streets of the United States on any given night. Veterans are at particular risk of becoming homeless due to various issues – from not being able to readjust to life as a civilian to having Post Traumatic Stress Disorder flashbacks and hallucinations. About half of all homeless veterans served in the Vietnam War, and many of them have substance abuse issues. A woman named Betty Allen was the next person who the show’s producers wanted to test out. 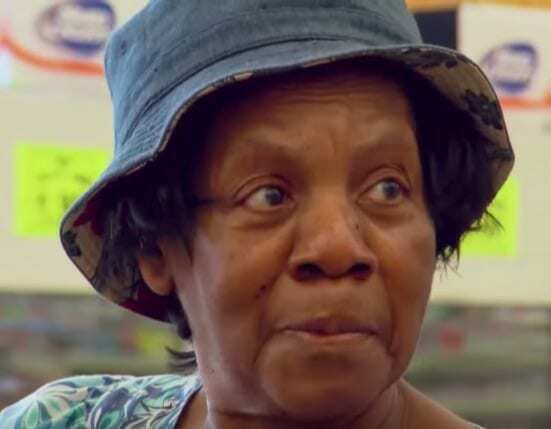 As she overheard the conversation between the “veteran” and the “cashier,” Betty offered three dollars, and asked the cashier to negate the extra 50 cents. Allen then went on to explain that three dollars was all she could give, otherwise she wouldn’t be able to afford her own groceries. When John Quinones went up to talk to Betty Allen about her good deed, he asked her if she herself had a lot of money. She looked at him and laughed, saying that she was just scraping by herself. However, having been in need before and understanding the hopeless feeling, she decided to help him out. It appears that if you are a United States Military veteran, there is a less likely chance that you will end up behind bars. No, this does not mean that no one will arrest you, but it means that you are less likely to go out and commit crimes. 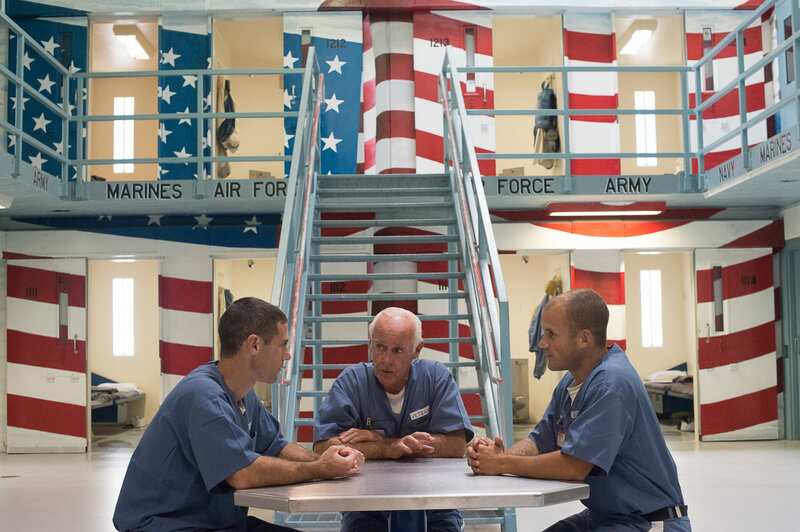 In fact, according to research conducted in 2004, the number of veterans in prison decreased by half between 1984 and 2004 (20 percent of the prison population then to 10 percent today). 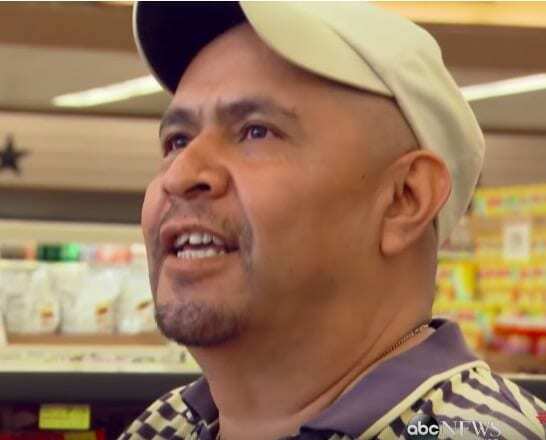 While the actor portraying the veteran started taking baby food off of the conveyor belt in order to be able to afford his purchases, a man named Angel Galvan stopped him in his tracks, and offered to pay for it. 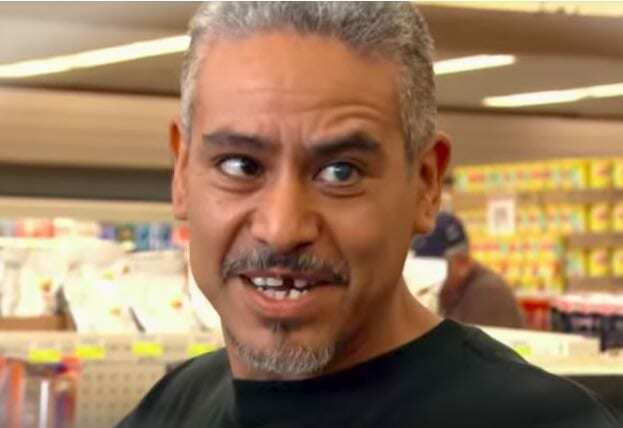 Quinones then went up to Galvan to ask him why he did it, and discovered that Galvan was a scrap collector who himself could barely afford groceries. When asked why, Galvan said that it is important to always help people. Of the veterans who went to fight in Operation Iraqi Freedom, Operation Enduring Freedom in Afghanistan, and the Vietnam War, approximately 15-20 percent of the soldiers who returned suffer from Post Traumatic Stress Disorder, or PTSD. This disorder can manifest itself in many different forms – from being unable to sleep due to nightmares to vivid hallucinations where the sufferer thinks they are back on the battlefield. 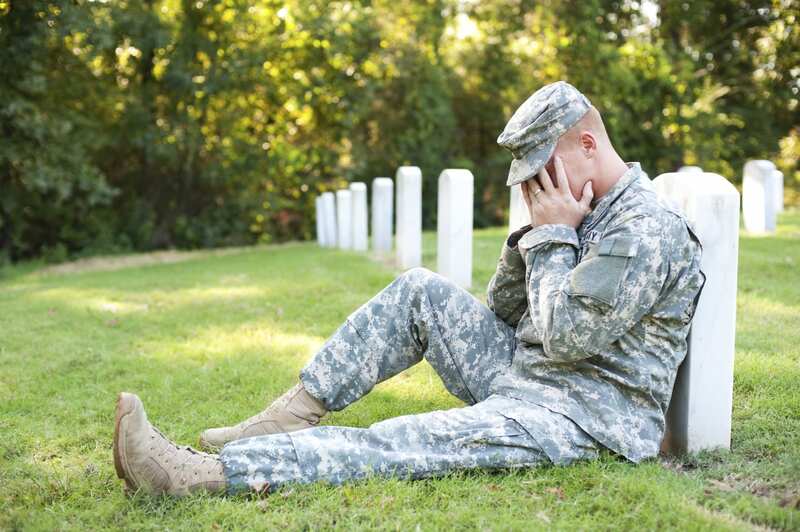 Due to Post Traumatic Stress Disorder, many United States Military veterans just can not take it anymore. They can not take the recurring memories, the nightmares, or even the hallucinations. Additionally, they may have trouble finding work or getting readjusted to civilian life. It is for these reasons amongst many others that the rate of veterans taking their own lives is double that of the general American public. 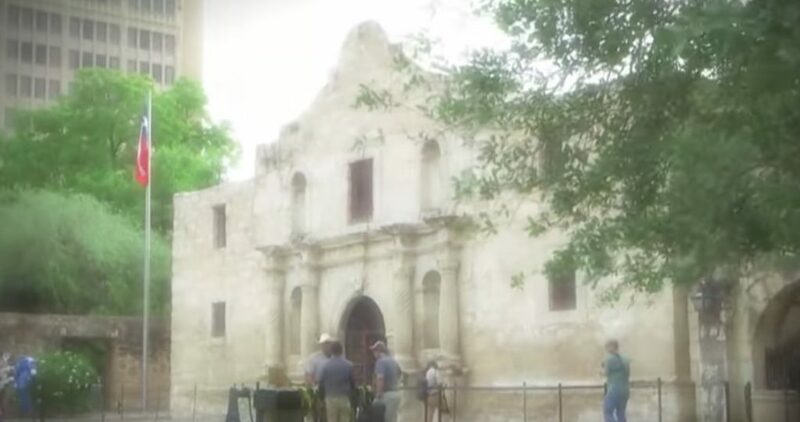 At the end of the day, the production team decided to test the people of San Antonio one last time. 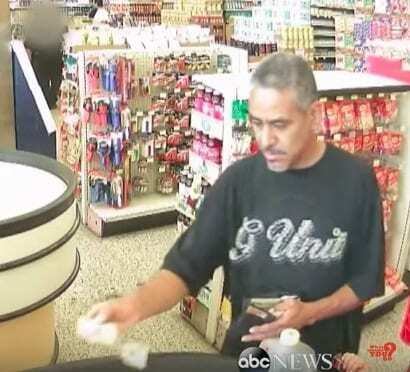 This time, there was a woman named Cecilia Baron who was in line behind the “veteran.” As soon as she saw that the veteran was unable to afford his groceries, she immediately offered up her credit card to pay for everything. 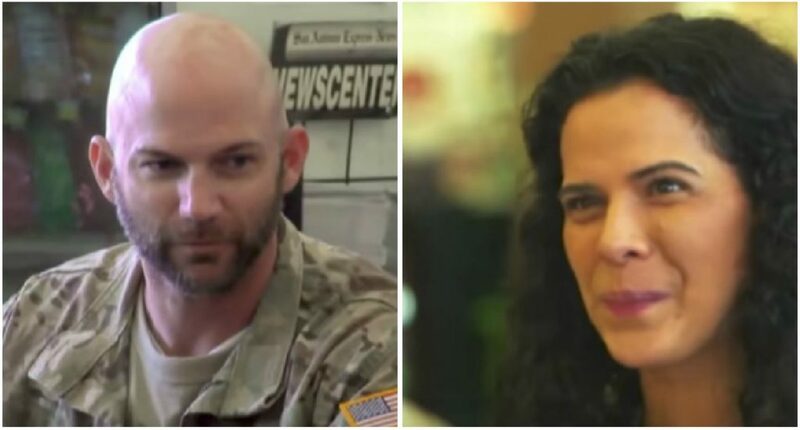 It turns out, her husband is also a veteran, and when asked why she helped, she said that as a civilian, it is her duty to take care of our soldiers. 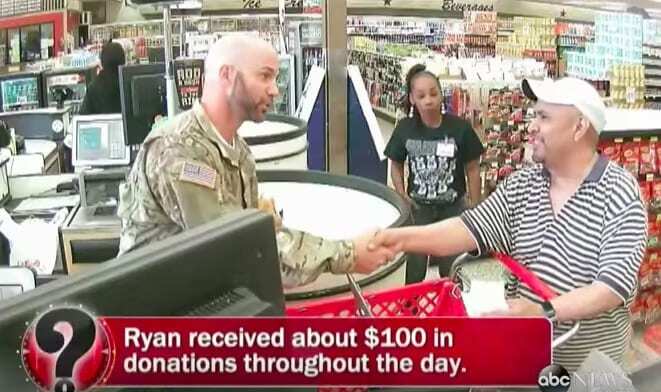 Over the course of the day, Ryan, the actor portraying a veteran, received about $100 in help at the grocery store. And of course, once they were told that they were on a TV show, the people who were videotaped helping the veteran out were given their money back. But it just goes to show that in places like San Antonio, there are still good people in this world, and that there is still hope. The part of the episode which clearly touched people the most was when Betty Allen, who had close to nothing, offered to pay three dollars because that was all she could give, and because as she said, “I have the love of God in me.” People from all over the internet responded and said that this was the moment when the tears really started rolling down their faces. They said that the fact she was so strong in her faith despite her financial situation inspired them. There are approximately 22 million veterans of the United States Armed Forces alive today. Out of a total population of about 320 million people, this means that just under seven percent of the entire population of the United States is a veteran. Of that only a mere ten percent, or 2.2 million veterans, are women. However, with women being added to more and more roles in the military, the number of women veterans is likely to increase. The United States government has an entire section which is devoted to veterans. Called the Department of Veterans Affairs, the Department helps veterans receive their rights. That can be anything from tax breaks to social security to even getting a scholarship to study under the GI bill. Additionally, veterans and their families are eligible for USAA life insurance, amongst a whole wealth of other benefits. However, just because there are tons of really nice looking benefits for veterans on paper it does not mean that they get them. The bureaucratic process takes years for most of these to materialize. 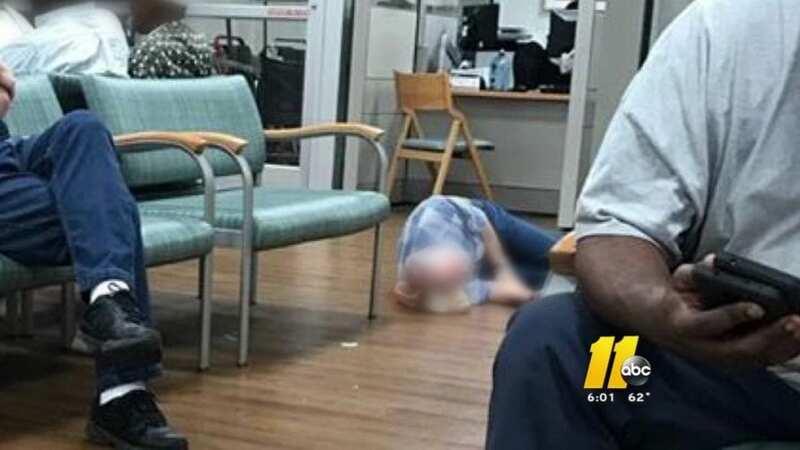 People with injuries, are able to go to a Veterans Affairs hospital, but these are usually dirty, old, and falling apart, and waitlists are months long due to mass corruption withing the system. Finally, if a vet gets injured in battle, American society will pity them, but will ostracize them. A vet with back injuries, for instance, will not be able to get a job. 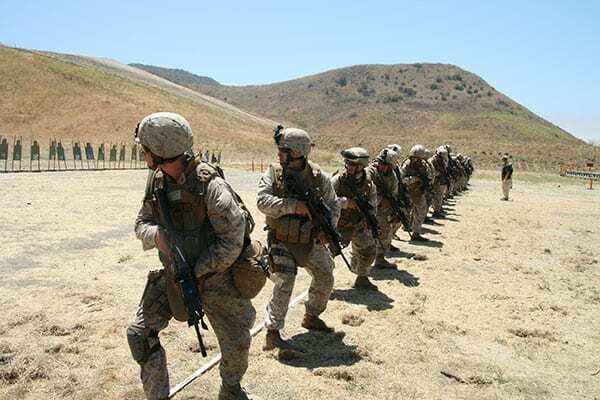 While the government will not necessarily help veterans transition back into civilian life, there are a plethora of organizations which will help returning soldiers come back and acclimatize to life back stateside. One of these organizations is the Veterans of Foreign Wars organization, or VFW. Another is the American Foreign Legion. There is also the Wounded Warriors Project, whose spokesperson is country singer Trace Adkins. 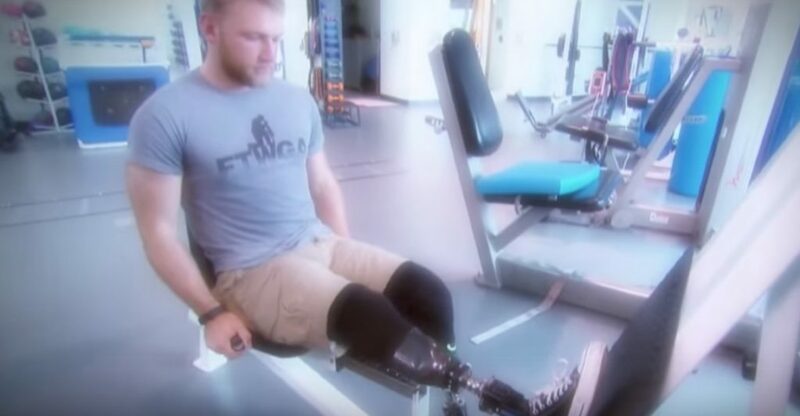 Not all veterans of war get the treatment they deserve. Take Alicia, a retired Sergeant in the United States Air Force. She served in both Iraq and Afghanistan, and was in the Pentagon when it got hit on September 11. 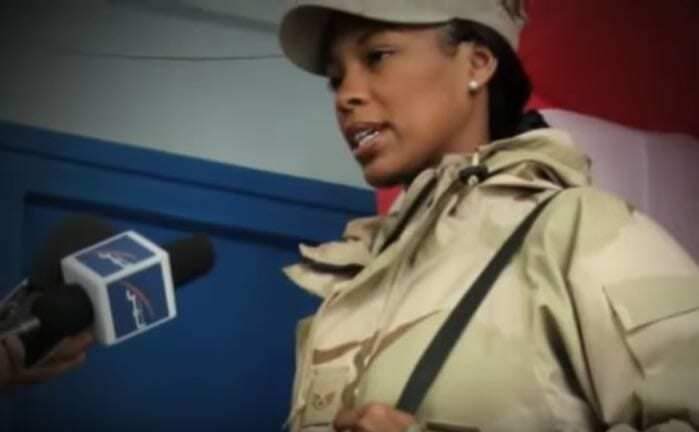 However, after she was honorably discharged from the military, she found herself homeless and living in a car she was renting for about 10 dollars a day. She had nowhere to go and was looking for work. Alicia is a rare case. The vast majority of homeless veterans are men. However, homeless female veterans are still around and may even be more difficult to reach. Alicia says that for her the hardest part of being homeless is admitting to herself that she has nowhere to go. 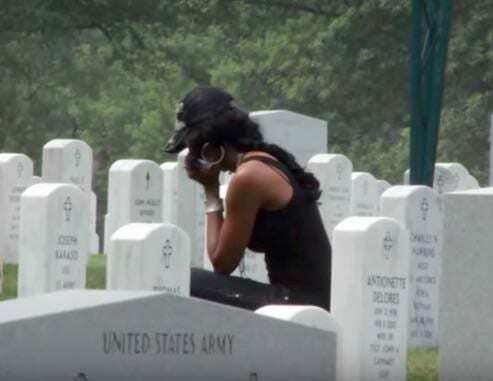 It was at this point in the video which she sent to the Oprah Winfrey Show that this tough military woman broke down in tears. Americans love their veterans, and hold them in high esteem. They hold veterans who have been wounded in battle in even higher esteem, and will sing of them the highest praises. But that is just about all they will do. As Alicia learned following her spinal injury, more often than not, if a soldier is wounded, no one will hire them as the company does not want to take on the medical insurance responsibilities associated with a wounded veteran. To top it all off, Alicia has Post Traumatic Stress Disorder from her ordeals in both Iraq and Afghanistan, as well as the September 11 attacks when she was at the Pentagon. PTSD, or any mental issue for that matter, immediately shuts veterans out from jobs in the American workforce. No employer will want to hire someone with any sort of a mental deficiency. In fact, just going to a psychologist to try and get help will cause employers to turn a veteran away. 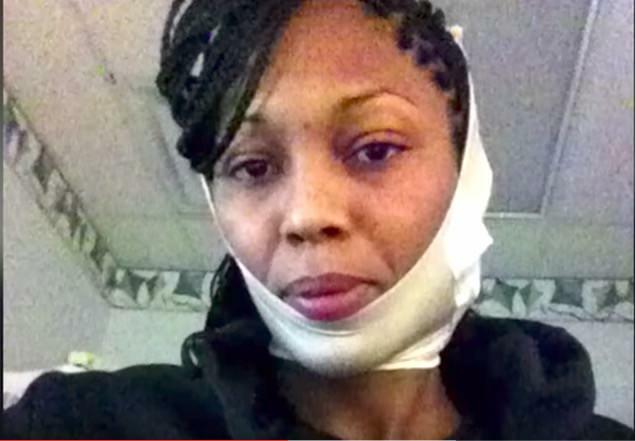 Alicia has since gotten help and has gotten her life back on track. 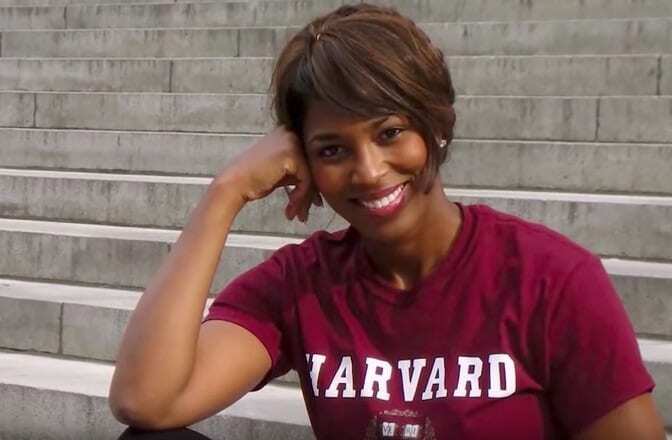 She decided that she is not through yet, applied to Harvard in 2012, and got in. She is going to school on the GI bill. She decided to go back to school because she wants to be an advocate for other United States Military Veterans who feel they have been given the cold shoulder by their country and their countrymen, and help them get the respect and help that they deserve.